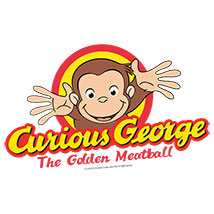 Get ready for an uplifting celebration of life as Lyric Theatre presents: Curious George and the Golden Meatball. This show, which will be held at Lyric’s Plaza Theatre, will feature everyone’s favorite mischevious monkey, the Man in the Yellow Hat and their adventure to Rome. Lyric’s Plaza Theatre is an intimate, 279-seat venue in Oklahoma City’s Plaza District.